Rsync based disk-to-disk backup tool with auto-rotation. Is there a better alternative to mlbackup? Is mlbackup really the best app in Backup category? Will mlbackup work good on macOS 10.13.4? 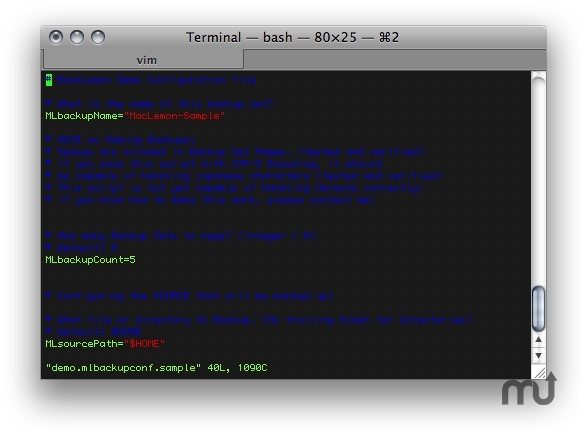 mlbackup is a backup script written in bash and uses rsync 3. It is built specially for Mac OS X (Server) and takes care of many of the Mac's special needs. It knows about many file that can be left out in a backup to speed things up and save space. mlbackup is intended for Disk-to-Disk backups. It is possible to pull backups from a remote host using rsync over ssh transport. You need to setup ssh host-key authentication if you want to automate this. Fixes issue #6: A bug in installer.sh and the installer package that broke online version check. Command line configuration (Terminal). The same release must be installed on all machines when doing remote backups via ssh.